Larry Zarzecki, who has Parkinson's disease, displays six prescription bottles as he testifies before the Senate Finance Committee Wednesday. The bill tasks a new Prescription Drug Affordability Board with collecting information about drug prices and identifying those that may be too expensive. Under the House’s version, which faced firm opposition from the pharmaceutical industry, the board could set upper limits for how much residents pay for certain drugs beginning in July 2021. The Senate eliminated that part. Instead, the Senate bill directs the board to study the issue and report back to the legislature by the end of 2020 with recommendations for how to reduce drug costs. Sen. Clarence Lam, a Democrat who represents parts of Baltimore and Howard counties and a physician, said he worries the new version isn’t sufficient. But Sen. Brian Feldman, a Montgomery County Democrat who spoke on behalf of the Finance Committee during Thursday's floor debate, said if the Prescription Drug Affordability Board recommends using upper price limits, the legislature could still implement them by July 2021, with the same timeline as the House bill. The Senate has scheduled a final vote Friday. For the bill to gain final passage, the House and Senate will need to agree on a final version before the legislature adjourns Monday night. Anne Rowe was diagnosed in 2001 with Von Willebrand disease. It’s a genetic bleeding disorder, meaning her blood doesn’t clot well. 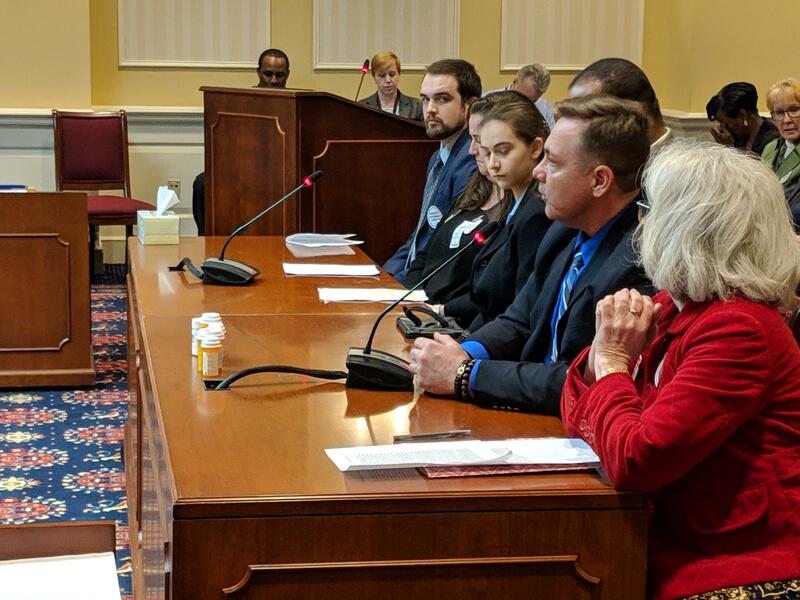 The Prince George’s County resident told the Senate Finance Committee Wednesday afternoon that, fortunately, there is a treatment. “For us to be treated prophylactically only, it could cost us $288,000 annually with no insurance or medications,” she said. Congressman Elijah Cummings, a Baltimore Democrat, says he’s optimistic after having President Donald Trump’s ear earlier this week, at least on the subject of prescription drug prices. Cummings, the top Democrat on the House Oversight Committee, said Trump agreed that drug companies "are in many instances charging these very unreasonable prices" and said "he thought it was just unfair to the American people." Prescription drug prices have gone up sharply in recent years, angering consumers and their advocates. And now Annapolis lawmakers are trying to stem the tide in Maryland. Both houses of the General Assembly are considering bills that would prohibit price gouging and require drug companies to file documents with state health officials when planning to increase drug prices.